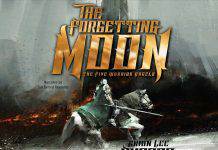 A fantasy based on a trilogy is the creation of the three writers Paul B. Thompson, Tonya C. Cook, Douglas Niles. 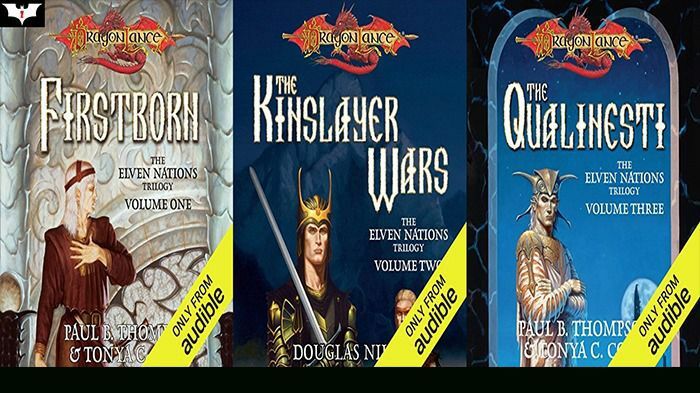 There are other book the author titled as Dragonlance (Heroes ; Lost Histories ; Ogre Titans) – Richard A. Knaak, Douglas Niles, Linda P. Baker, Paul B. Thompson, Tonya C. Cook, Dan Parkinson, Nancy Varian Berberick, Michael Williams The narration by Steve Coulter also keeps a nice pace with all the text. The tale opens with the two groups with different opinions about the relation with the outside world. The leader of the elves with his two sons faces the difficulty when one group wants to isolate them from the rest of the world so that they can remain hidden and the second group the Kith-Kanan wants to form a connection with the outside world in form of trade and other things. This creates a dispute between the elves. The second part opens when Kith-Kanan is entangled in the love of a human woman and wants to save her and her race from the deadly attacks of the elves but at the same time he wants to show his loyalty towards his own race as well, thus he faces a dilemma in which he has to choose between the two and was unable to leave anyone of them. The last part of the trilogy ends with certain disasters but the ending is overall a happy one when Kith-Kanan stands with his son as speaker of the Suns and though his wife was not a faithful lady and betrayed her in the worst situation of his life but still he emerged as a hero and a good leader that proved to be faithful to its own being. The story is like a nice compact whole and the development is slow but accurate and according to the need of the plot.